Suitable for Housing heavy three phase and single phase transformers. This enclosure is floor standing is and rated to IP43. The enclosure has 2 x removeable gland plate. 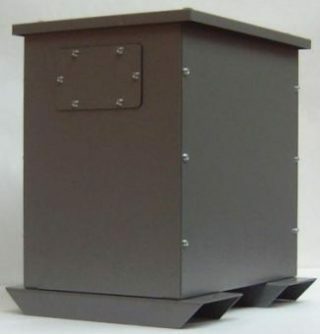 This enclosure is suitable for single phase transformers from 15kva up to 30kva. Category: Enclosures. Tags: Enclosure, Floor mounted, Single Phase, Three Phase, Transformer, Transformers.